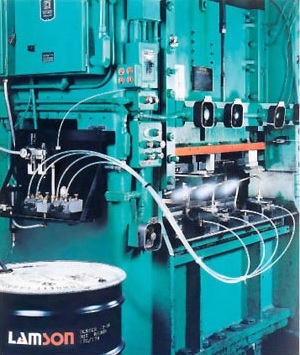 In 1964 when LSP introduced the original PresSpray Lubricant Ejectors we were at the forefront in introducing airless, automatic spraying of die lubricants to the stamping industry. 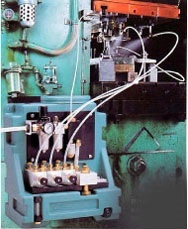 with lubricant from a centralized reservoir. These units are just the right size for small jobs. They are light, compact and easy to carry from press to press. Set it on any flat surface or permanently attach it to the side of a press. Whichever system you get, you will be amazed at how a small package can do such a big job. We are happy to assist you in customizing the proper option or package for your specific application. 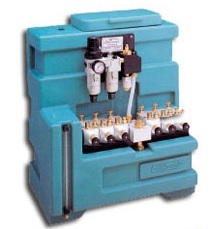 Download the PresSpray II Catalog. Please complete and submit the form below.